This one is a little old (from our August visit to Ocean Park). 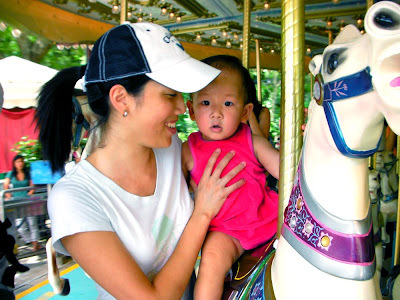 Watch Video 152 of Natalie not enjoying her first merry-go-round ride. She was a little over-whelmed and just wanted to get off. Natalie looking anxious on the merry-go-round.